Regarding the OpenSSL vulnerability issues covered by Security Alert (A15-06-04) please upgrade openssl libraries in your system. In order to that follow the procedure described further below. All current versions of IceWarp Server are using affected versions of OpenSSL libraries. 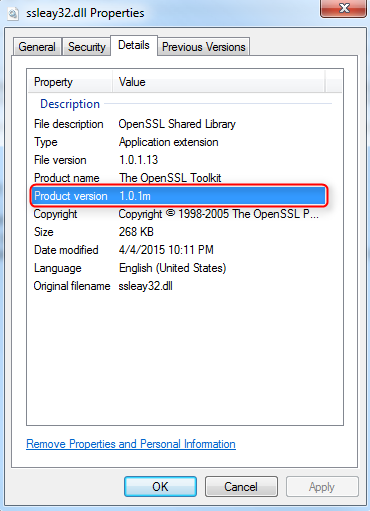 IceWarp Server versions 11.0.0 build 3 and later are using 1.0.1x product version of OpenSSL. Feel free to update to the latest OpenSSL libraries of the same product version.